The football (soccer ball) for the 2010 FIFA World Cup features completely new, ground-breaking technology. Eight 3-D spherically formed panels are moulded together, harmoniously enveloping the inner carcass. The result is an energetic unit combined with perfect roundness. Aero grooves create the clearly visible profile on the ball’s surface. The Grip’n’Groove profile circles around the entire ball in an optimal aerodynamic way. The integrated grooves provide unmatched flight characteristics, making this the most stable and most accurate Adidas football. The ground breaking performance features have been confirmed in comprehensive comparison tests at Loughborough University in England and countless checks in wind tunnel and the Adidas football laboratory in Scheinfeld, Germany. The process, shown in the video, for manufacturing the footballs is way more complicate than I thought it would be. Microcosm: E. Coli and the New Science of Life by Carl Zimmer is an excellent book. It is full of fascinating information and as usual Carl Zimmer’s writing is engaging and makes complex topics clear. Hybridization is not the only way foreign DNA got into our cells. Some 3 billion years ago our single-celled ancestors engulfed oxygen-breathing bacteria, which became the mitochondria on which we depend. And, like E. coli, our genomes have taken in virus upon virus. Scientists have identified more than 98,000 viruses in the human genome, along with our mutant vestiges of 150,00 others… If we were to strip out all our transgenic DNA, we would become extinct. I highly recommend Microcosm, just as I highly recommend Parasite Rex, by Carl Zimmer. Chief Scientist for the Rocky Mountain Institute and MacArthur Fellow, Amory Lovins, describes how small gains in efficiency at the consumption point can trigger gains that are magnitudes larger at higher levels and discusses how engineering must be practiced and taught fundamentally different. Fiction now meets reality with prototype contact lenses developed by Babak Parviz at the University of Washington, in Seattle. Dr. Parviz’s prototype lenses can be used as biosensors to display body chemistry or as a heads up display (HUD). Powered by radio waves and 330 microwatts of power from a loop antenna that picks up power beamed from nearby radio sources, future versions will also be able to harvest power from a cell phone. In his early 2008 lab tests, rabbits safely wore contact lenses with metal connectors for electronic circuits. The prototype lenses contained an electric circuit as well as red light-emitting diodes for a display. The lenses were tested on rabbits for up to 20 minutes and the animals showed no adverse effects. Soren Bisgaard died earlier this month of cancer. Soren was a student (Ph.D., statistics) of my father’s who shared the commitment to using applied statistics to improve people’s lives. I know this seem odd to many (I tried to describe this idea previously and read his acceptance of the 2002 William G. Hunter award). 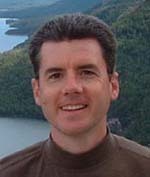 Most recently Soren Bisgaard, Ph.D. was Professor of technology management at Eugene M. Isenberg School of Management at the University of Massachusetts – Amherst. He was an ASQ Fellow; recipient of Shewart Medal, Hunter Award, George Box Medal, among many others awards. Soren also served as the director of the Center for Quality and Productivity Improvement at the University of Wisconsin-Madison (founded by William Hunter and George Box) for several years. I will remember the passion he brought to his work. He reminded me of my father in his desire to improve how things are done and provide people the opportunity to lead better lives. Those that bring passion to their work in management improvement are unsung heroes. It seems odd, to many, to see that you can bring improvement to people’s lives through work. But we spend huge amounts of our time at work. And by improving the systems we work in we can improve people’s lives. Soren will be missed, by those who knew him and those who didn’t (even if they never realize it). The Future of Quality Technology: From a Manufacturing to a Knowledge Economy and From Defects to Innovations (pdf) by Soren Bisgaard. Read more articles by SÃ¸ren Bisgaard. The first known homogeneous oscillating chemical reaction, reported by W. C. Bray in 1921, was between hydrogen peroxide (H2O2) and iodate (IO3âˆ’) in acidic solution. Due to experimental difficulty, it attracted little attention and was unsuitable as a demonstration. In 1958 B. P. Belousov in the Soviet Union discovered the Belousov–Zhabotinsky reaction (BZ reaction), is suitable as a demonstration, but it too met with skepticism (largely because such oscillatory behavior was unheard of up to that time) until A. M. Zhabotinsky, also in the USSR, learned of it and in 1964 published his research. In May of 1972 a pair of articles in the Journal of Chemical Education brought it to the attention of two science instructors at Galileo High School in San Francisco. They discovered the Briggs–Rauscher oscillating reaction by replacing bromate (BrO3âˆ’) in the BZ reaction by iodate and adding hydrogen peroxide. They produced the striking visual demonstration by adding starch indicator. The detailed mechanism of this reaction is quite complex. Nevertheless, a good general explanation can be given. Britain’s physics community is reeling from a “disastrous” day of funding cuts that will force scientists to withdraw from major research facilities and see PhD studentships fall by a quarter. Space missions and projects across astronomy, nuclear and particle physics are being cancelled to save at least Â£115m, the Science and Technology Facilities Council (STFC) said today. Fellowships and student grants for PhD projects will be cut by 25% from next year. The announcement has appalled senior physicists who warn the cuts threaten Britain’s future as a leading player in science. Politicians like to talk about funding science investment. And they do so to some extent. However, they are more reluctant to actually spend money than to talk about the wonders of science. Several countries in Asia are not just talking, they continue to invest, large amounts of money. The USA seems to be willing to put some money (not the kind of funds paid to protect bankers bonuses but significant amounts). Still the amounts the USA is investing is, I believe, falling as a percentage of global investment. Fun video by Richard Wiseman on his top 10 science stunts for Christmas parties. When you visit Diani Beach, Kenya’s version the Florida keys, look up and you’ll see 20 rope bridges swinging over the highway – what’s that little bulge with a tail? Before you flash by, you will realise that it’s a monkey sitting up there. Yes it’s watching you! And then, a burst of action as an entire troop of black and white might start galloping across the wildly swaying bridge! Being naturally shy, the colobus initially stared at the bridges gadgets with disdain until the more inquisitive and daring Sykes monkey began to see the logic. Once the Sykes and even vervet monkeys started using the bridges, the colobus followed suit, and are now very comfortable with their arboreal walkways. photo by John Hunter at Glacier National Park. Tomorrow 56 newspapers, in 45 countries, are taking the unprecedented step of publishing the same editorial. The editorial will appear in 20 languages, as the United Nations Climate Change Conference is set to begin in Copenhagen. The science is complex but the facts are clear. The world needs to take steps to limit temperature rises to 2C, an aim that will require global emissions to peak and begin falling within the next 5-10 years. the rich world is responsible for most of the accumulated carbon in the atmosphere – three-quarters of all carbon dioxide emitted since 1850. It must now take a lead, and every developed country must commit to deep cuts which will reduce their emissions within a decade to very substantially less than their 1990 level. Most of the newspapers have taken the unusual step of featuring the editorial on their front page. Even with the overwhelming evidence and tremendous consequences I don’t expect politicians to make the right decisions. We know full well what the choices are. We just decide to avoid the unpleasant choices. To bad so many that don’t get to choose are going to suffer. The politicians will be weak. They will play to those that pay them money. They will delay taking important steps now. We have chosen to elect non-leaders for quite some time. We can’t really expect them to act with courage, vision, wisdom and leadership given who we elect. The politicians are responsible for their failing but we are more responsible for electing them. Some politicians, even now, do possess fine qualities but not nearly enough. Maybe I will be proven wrong, but I doubt it. My father was a engineer and statistician. Along with George Box and Stu Hunter (no relation) they wrote Statistics for Experimenters (one of the potential titles had been Statistics for Engineers). They had an interest in bringing applied statistics to the work of scientists and engineers and I have that interest also. To me the key trait for applied statistics is to help experimenters learn quickly: it is an aid in the discovery process. It should not be a passive tool for analysis (which is how people often think of statistics). The book is primarily written for engineers and scientists who need to use statistics and JMP to make sense of data and make sound decisions based on their analyses. This includes, for example, people working in semiconductor, automotive, chemical and aerospace industries. Other professionals in these industries who will find it valuable include quality engineers, reliability engineers, Six Sigma Black Belts and statisticians. For those who want a reference for how to solve common problems using statistics and JMP, we walk through different case studies using a seven-step problem-solving framework, with heavy emphasis on the problem setup, interpretation, and translation of the results in the context of the problem. For those who want to learn more about the statistical techniques and concepts, we provide a practical overview of the underpinnings and provide appropriate references. Finally, for those who want to learn how to benefit from the power of JMP, we have loaded the book with many step-by-step instructions and tips and tricks. Stat Insights is a blog by JosÃ© and Brenda RamÃ­rez. Analyzing and Interpreting Continuous Data Using JMP by JosÃ© and Brenda RamÃ­rez. view chapter 1 online. [We] have focused on making statistics both accessible and effective in helping to solve common problems found in an industrial setting. Statistical techniques are introduced not as a collection of formulas to be followed, but as a catalyst to enhance and speed up the engineering and scientific problem-solving process. Each chapter uses a 7-step problem-solving framework to make sure that the right problem is being solved with an appropriate selection of tools.